Stem cells contain growth factors that promote powerful and often times permanent regeneration within muscles, joints, tendons, hair and skin. Stem cell treatment parallels the naturopathic medical philosophy that we possess the innate abilities to heal ourselves when provided the appropriate amount of supportive healing. This cutting-edge technology is backed by research and is becoming an emerging medical tool of the future with it's unique ability to repair injuries, manage pain, restore function and avoid surgery. 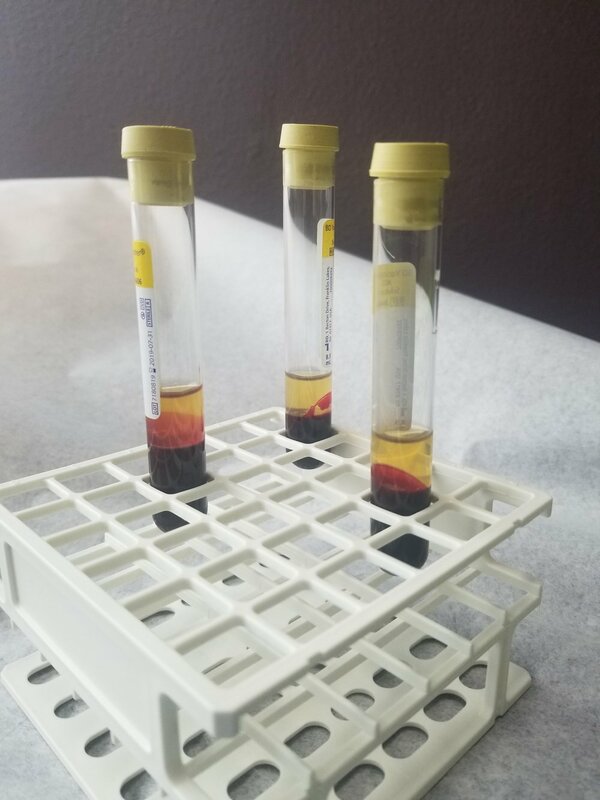 Platelet Rich Plasma (PRP) is a non-surgical injection therapy where an individuals blood is drawn and platelets are extracted prior to being re-injected into the muscle, tendon, joint, hair or skin. Similar to stem cells, PRP recruits growth factors that promote repair, healing and rejuvination. PPP is a more cost-effective treatment option than stem cells, but may require up to 2-4 treatments before lasting results are achieved. The most powerful risk factor for the development of chronic disease and aging is time. Although this is not a risk factor that we can modify, there are many other factors that we have within our control. Age-related health conditions can adversely affect our function, quality of life, cognitive function, appearance and longevity. There are many lifestyle, treatment and diagnostic approaches to slow and reverse the aging process while preventing the onset or progression of the primary drivers of death and dysfunction. Time is arguably the most precious resource and Dr. Opunui can help guide you with the tools to optimize your healthspan.